A film on menstruation, set in rural India, titled Period. End of Sentence, has won the Oscar in the Documentary Short Subject category at the 91st Academy Awards. Award-winning filmmaker Rayka Zehtabchi has directed the short film, which has been produced by Indian producer Guneet Monga’s Sikhya Entertainment. “I’m not crying because I’m on my period or anything. 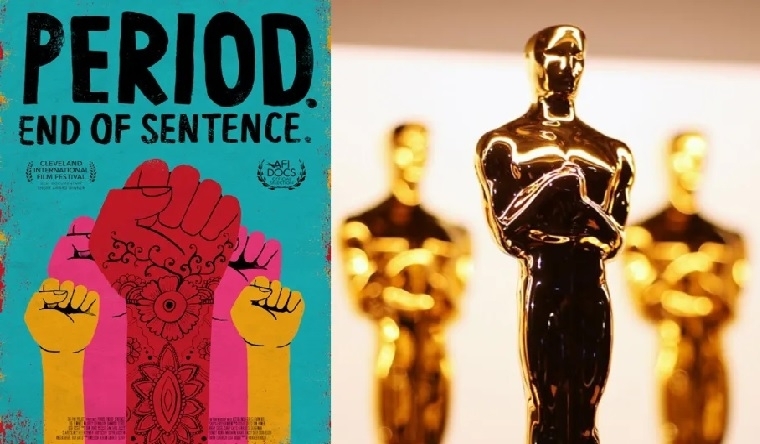 I can’t believe a film on menstruation won an Oscar,” Zehtabchi said in her acceptance speech. “I share this award with the Feminist Majority Foundation, the entire team and cast. I share this with the teachers and students around the worlds – a period should end a sentence, not a girl’s education,” she said.